This is a test. This is only a test. Can you keep your sense of humor, a sunny sense of long-range optimism, while knee-deep in slush – on the 5th day of April? I’m developing a severe case of weather-amnesia, but a reader reminds me we picked up nearly 18 inches of snow last April. The latest 30 year average is 2.4 inches in April, if anyone has the courage to ask. More fun with weather statistics: NOAA reports the period from December 1 to March 31 averaged 13.8F; the 10th coldest such stretch on record and the coldest since 1936. Have a nice day! Target Field will be miraculously devoid of slush for Monday’s Twins Opener; temperatures in the 50s with a stray (rain) shower. ECMWF guidance even hints at a few glorious 60s next week. The wheel is turning, the cycle is shifting. 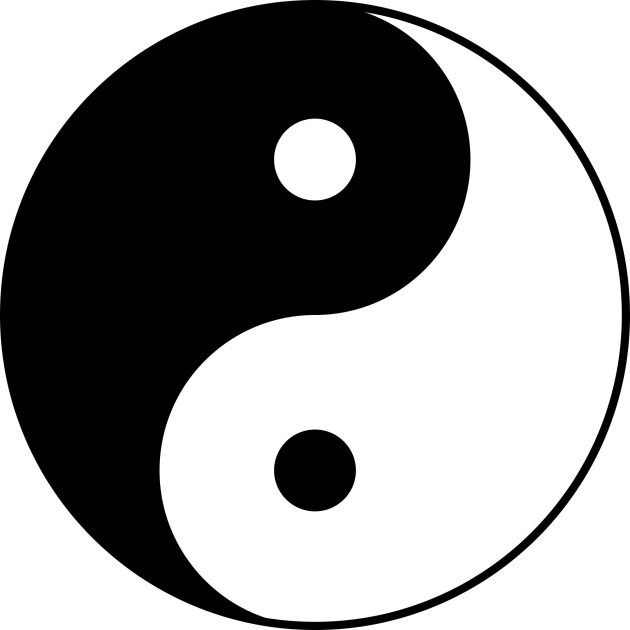 My (few) supernaturally serene Buddhist friends describe the yin and yang of everyt4hing including the weather. Less yin, please. 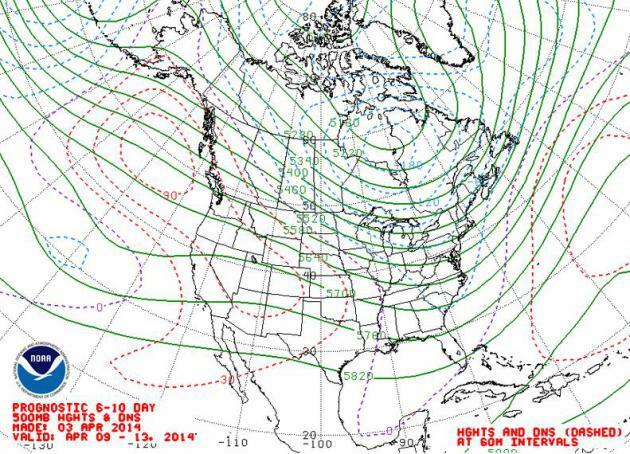 Temporary pain, but no long-term weather suffering, as spring finally surges into Minnesota next week. The extended outlook calls for more whiplash. The maps I’m staring at hint at 60s, strong thunderstorms and potential flash flooding the weekend of April 12-13. Like turning on a light switch. From Slush To Thunder In A Little Over A Week? ECMWF guidance shows mellowing temperatures over the weekend; 50s expected for the Twins Home Opener Monday at Target Field. After cooling down slightly on Tuesday we warm to near 70F on Wednesday, 60s again late next week. The European model is hinting at a vigorous warm front the weeekend of April 12-13, possibly capable of showers and even a few heavier T-storms. Any heavy rain falling on frozen ground will quickly result in run-off and possible urban street flooding issues. Too early to tell with any confidence, but we’ll keep an eye on it. Modified Zonal Flow. Finally! The maps are finally starting to take on a more springlike appearance over the northern USA, with winds aloft forecast to blow from Seattle and Vancouver (instead of the Yukon) between April 9-13. The Big Melt is almost here. 500 mb map above: NOAA. Preliminary Snowfall Totals. 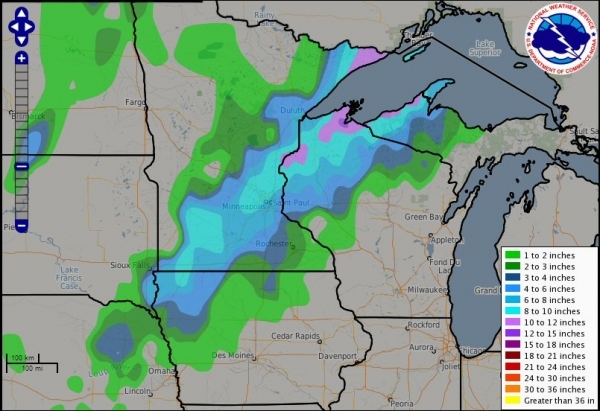 As expected a (very) plowable snowfall event materialized from northwest Iowa into much of Minnesota and northwest Wisconsin, as much as 10″ in the suburbs of the Twin Cities, where travel conditions will slowly improve this afternoon. For the northern USA spring is coming reluctantly again this year. 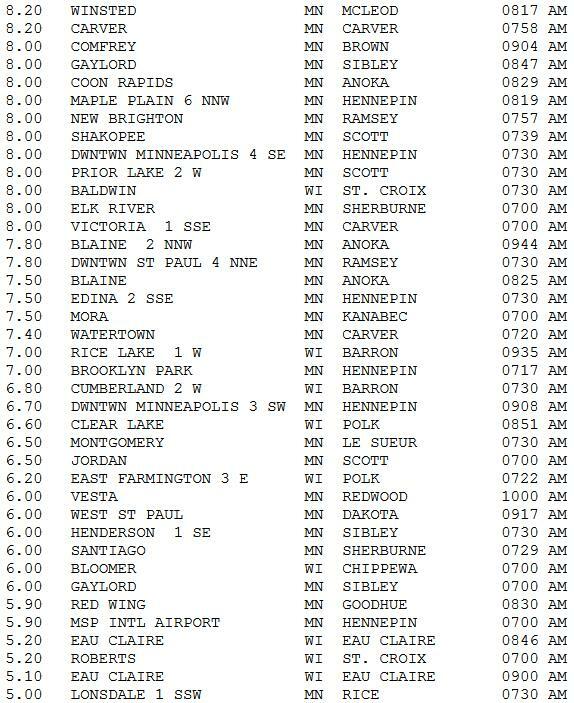 Here is a list, courtesy of the local Twin Cities National Weather Service, how how much fell. 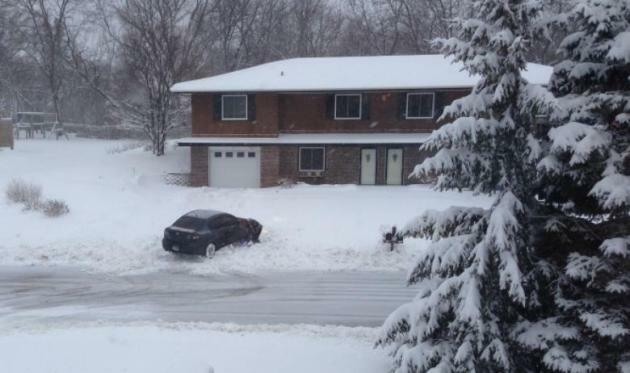 As much as 10-12″ caked a few northern suburbs, but most amounts were in the 4-9″ range. Quite enough, thank you. 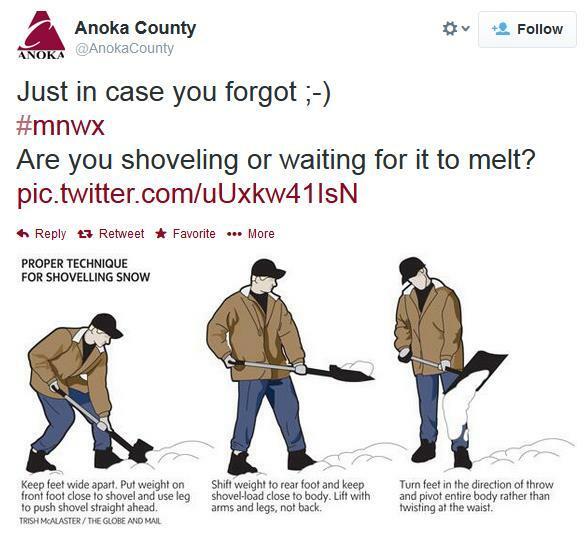 Timely Shoveling Tips. 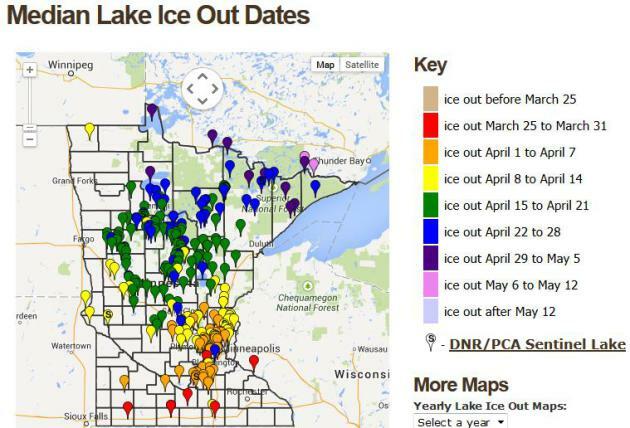 Thanks to Anoka County for passing this along – a reminder that the snow that fell Thursday night and Friday morning had a very high water content. Some call this “heart attack” snow because it’s much harder to get off your driveway than a light, fluffy January snowfall. Be careful out there. 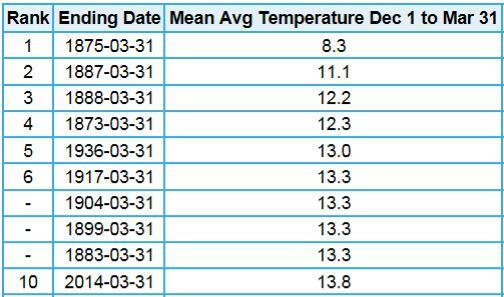 December Thru March: Coldest Since 1936. 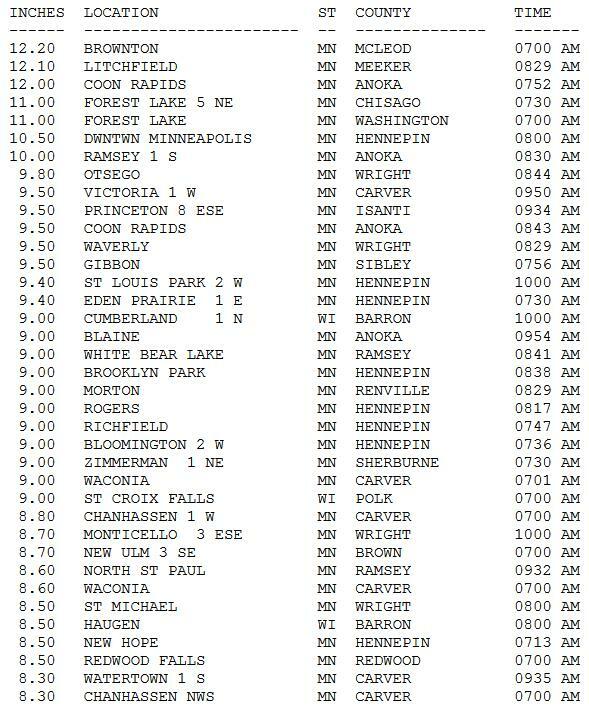 Unless I’m missing something here, which is entirely possible considering how sleep-deprived I am, the 4 month period from December 1, 2013 thru March 31, 2014 was the 10th coldest on record, and the coldest for MSP since 1936. Yep, I’d say we’re all ready for spring right about now. Details from NOAA here. 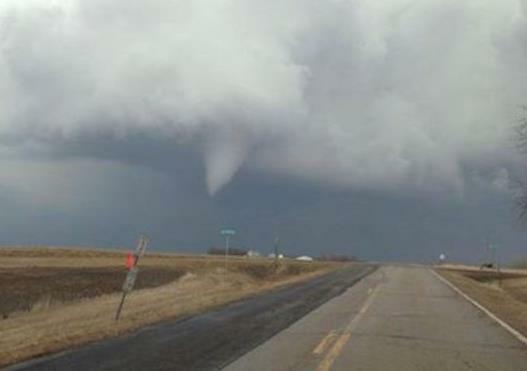 Photo courtesy of KARE-11 and Ronni V, via Facebook. Alerts Broadcaster SitRep: Excerpt of a report issued Friday morning, April 4, 2014. Thursday Storm Reports. Here’s a map showing the location of the 8 tornado touch-downs, damaging winds, hail and flash flooding reports, courtesy of NOAA and Ham Weather. * The list above is from NOAA SPC, with details on each tornado touchdown yesterday. Some of the most extensive damage was in and around Denton, Texas, just north of Dallas. Texas Touch-Downs. 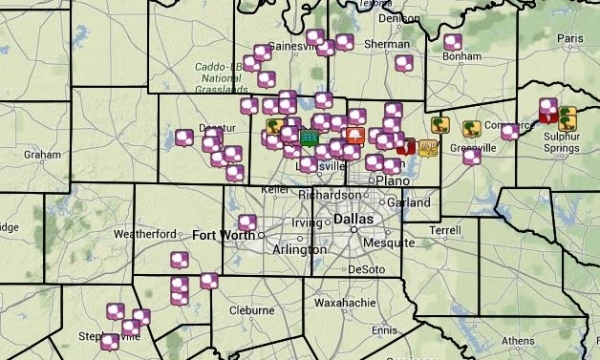 The map above shows the hail swaths and tornado touchdowns from near Denton to Sulphur Springs, Texas, with the majority of the severe weather tracking just north of Dallas and Plano. A close call indeed. NOAA has more details here. 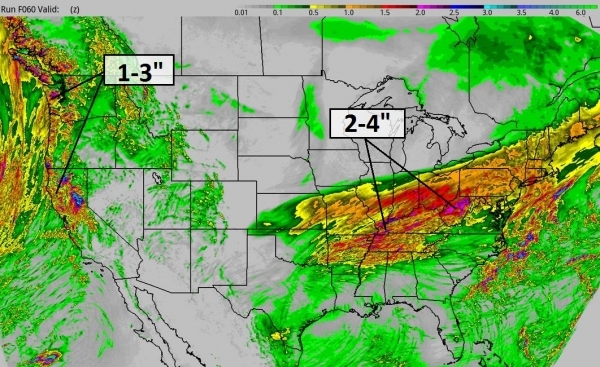 Paul Douglas – Senior Meteorologist – Alerts Broadcaster (with special thanks to WeatherNation TV meteorologist Chris Bianchi for helping me compile these severe weather reports and updates). 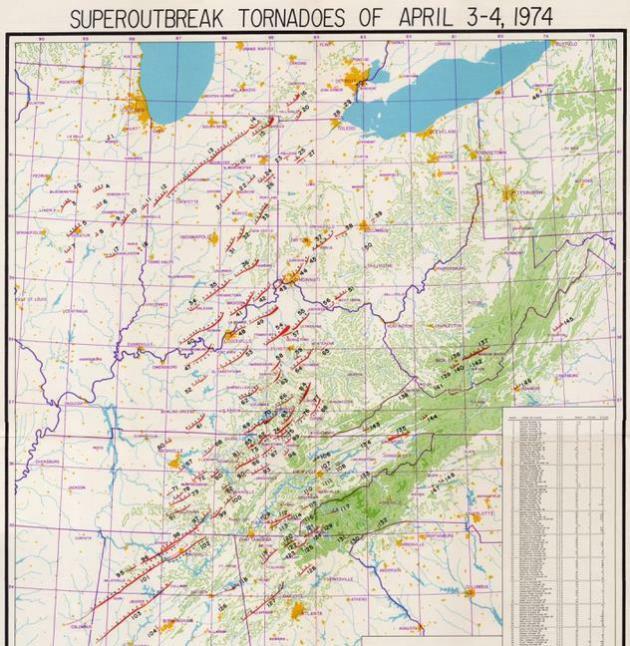 Graphic credit above: “A hand-drawn map by Ted Fujita showing the 1974 Super Outbreak of tornadoes in the U.S.” Credit: National Weather Service, Wilmington. 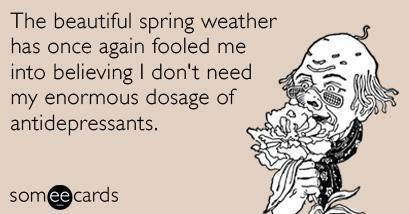 40 F. high on Friday. 53 F. high on April 4, 2013. THURSDAY: Showers, then windy, cooler. Wake-up: 48. High: 56 (falling by afternoon). 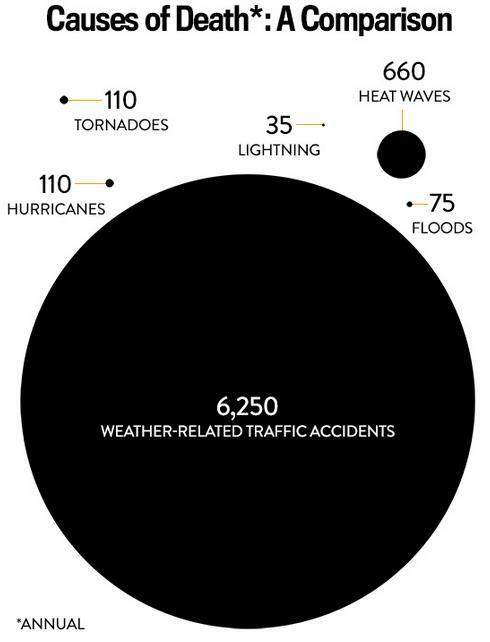 Graphic credit above: Data from NWS, CDC and DOT. Infographic by Holly Allen. 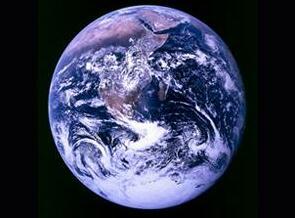 Tail Risk vs. Alarmism, by Kerry Emanuel. 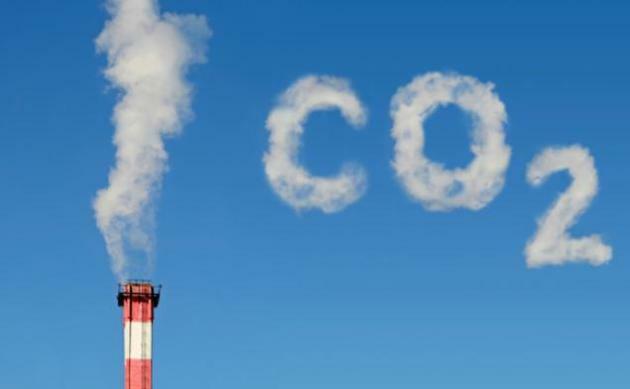 Are climate scientists being alarmist in their predictions? I’d argue that many of the trends we’re seeing, especially with Arctic ice melt, rising sea levels and ocean acidification are, in fact, alarming. 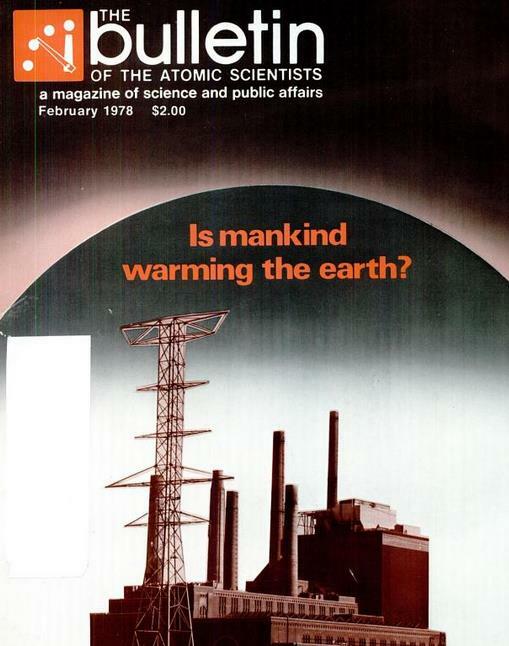 This is a classic case of risk management, explained in this excerpt from The Climate Change National Forum; here’s an excerpt: “…In assessing the event risk component of climate change, we have, I would argue, a strong professional obligation to estimate and portray the entire probability distribution to the best of our ability. This means talking not just about the most probable middle of the distribution, but also the lower probability high-end risk tail, because the outcome function is very high there. For example, here is an estimate of the probability distribution of global mean temperature resulting from a doubling of CO2 relative to its pre-industrial value, made from 100,000 simulations using an integrated assessment model. (We use this here as an illustration; it should not be regarded as the most up-to-date estimate of global temperature increase probabilities. )….